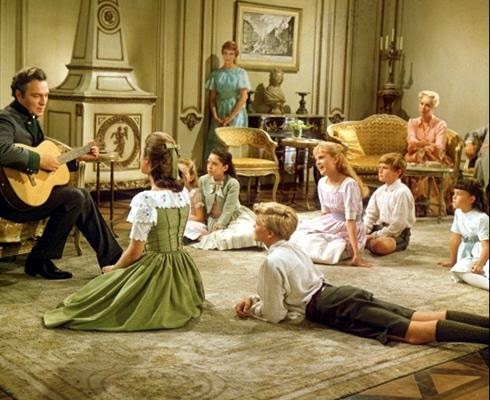 The 50th anniversary of the release of THE SOUND OF MUSIC (1965) has proven to be quite a boon to the movie's devoted fans, including the release of multiple books on the beloved film. 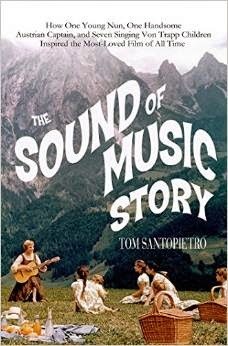 I previously reviewed THE SOUND OF MUSIC FAQ by Barry Monush, and I've just finished reading THE SOUND OF MUSIC STORY by Tom Santopietro. While Monush's book provides a SOUND OF MUSIC reference encyclopedia, Santopietro tells the story of the making of the film in more of a straight narrative fashion. I'd previously read Santopietro's excellent book CONSIDERING DORIS DAY, and, based on my enjoyment of that book, I especially looked forward to THE SOUND OF MUSIC STORY. It was as enjoyable as hoped, describing the making of the film and its subsequent history across the last half-century in 30 well-organized and very readable chapters. Santopietro provides a richly detailed account, pulling together multiple anecdotes as seamlessly as William Reynolds edited together "Do-Re-Mi." The picture which emerges from so many perspectives is of a genuinely happy set, dominated by two of the nicest men in Hollywood, director-producer Robert Wise and associate producer Saul Chaplin. Chaplin is remembered as "a very nice gentleman" and "a tremendous life force," while Wise was "a sweetheart of a man." It's hard not to think that the general good feelings on the set showed up on the screen, while Plummer's well-known dissatisfaction with being in the film is also reflected in his astringent character. To his credit, Plummer has come to appreciate the film in the years since making it! 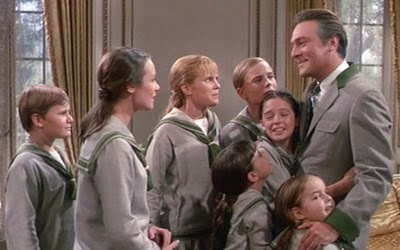 Like Captain Von Trapp, Plummer was perhaps crustier on the outside than he was on the inside, which played into the shooting of the emotional scene where the Captain sings "The Sound of Music" with the children. 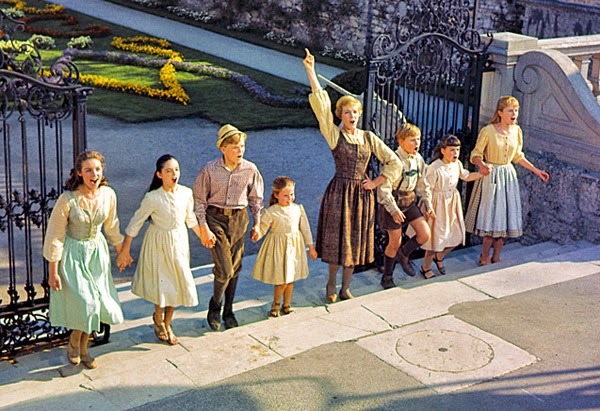 Prior to filming the scene, Wise had informed the children it was their last group scene: "The thought of their journey together coming to an end...caused tears to flow and helped inform the scene. The combination of the inherent power of the material with a dawning realization that in real, as well as reel life, Plummer actually did care for them unleashed a genuine emotional response in the children." Charmian Carr remembers that even Wise was crying as he directed it. Such anecdotes are mixed with more familiar stories to make the book a fresh and enjoyable read even for someone who has read as many books on the topic as I have. I was glad to spend time revisiting one of my favorite films and learning more about it via Santopietro's book. THE SOUND OF MUSIC STORY is a hardcover which is 324 pages including extensive end notes, a bibliography, and the index. There are 16 glossy pages of photographs inserted in the center of the book. In the interest of giving my readers a thorough report, as well as reflecting my professional interest in this aspect, the book does have some occasional minor typos -- a dropped possessive here, 2014 printed as 2004 there -- but on the whole it is well presented and I definitely recommend it. Thanks to St. Martin's Press for providing a review copy of this book. I also loved the way this book was organized. A pretty impressive feat given how much information there was to gather! It really was, KC! He pulled together commentary from so many different people, along with lots of data, yet produced a very readable book.